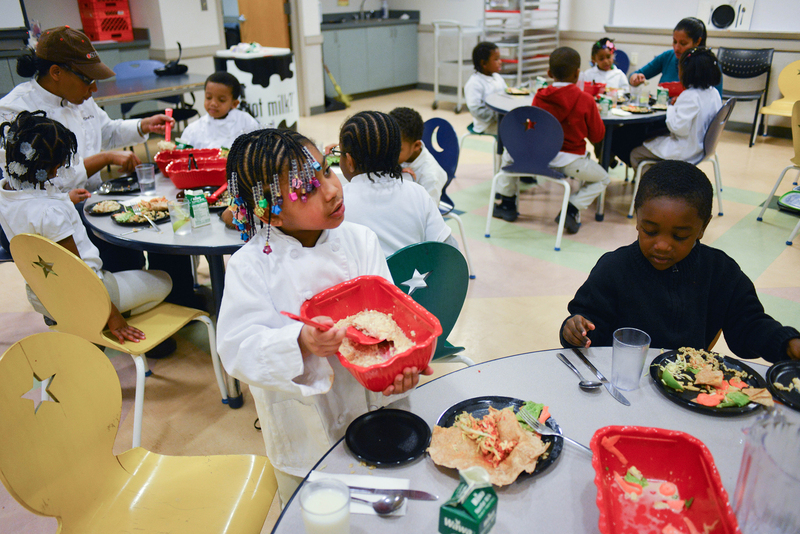 Through Vetri Community Partnership’s Eatiquette school lunch program, hundreds of kids around the Philadelphia region have learned how to prepare and serve produce as part of a healthy, balanced meal. But since the program focuses on teaching kids during the school day, it doesn’t always mean that that education gets extended to the dinner table. Since 2008, Vetri Family owner, Marc Vetri, and his business partner Jeff Benjamin, have led the Vetri Community Partnership. 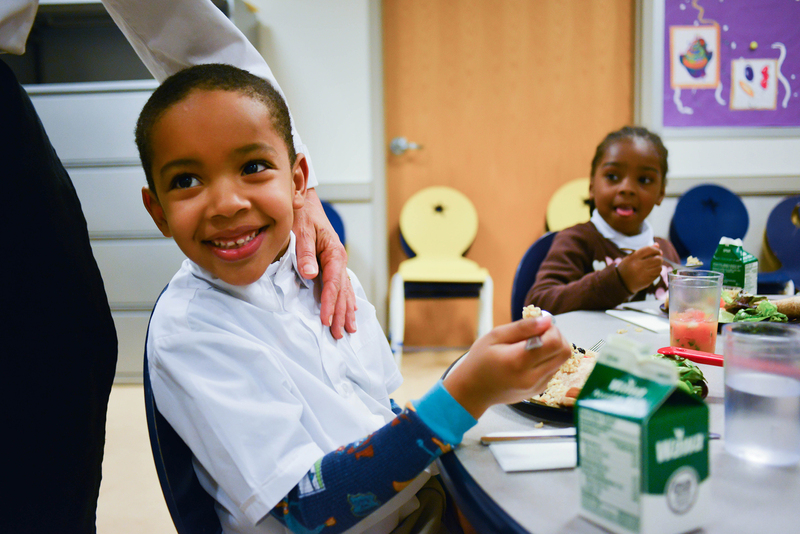 Its mission is to help children experience the connection between smart food choices and healthy living through good food, education and social interaction. One core part of the Partnership is the Eatiquette school lunch program, which uses fresh, healthy food and family style dining to transform a child’s lunch from the traditional cafeteria assembly line to an environment where children gather around tables, share plates of food, and experience social interaction and communication. 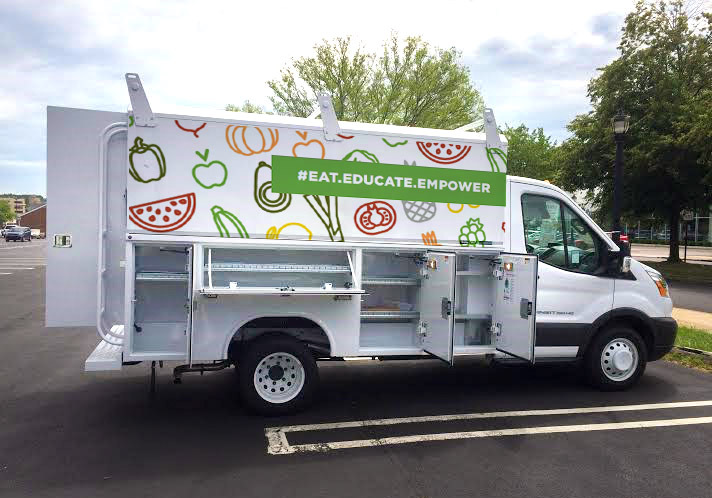 Starting this fall, the Mobile Teaching Kitchen, will complement Eatiquette. It will visit schools, community events and farmer’s markets in less-affluent Philadelphia neighborhoods and give free healthy cooking lessons. The cooking classes will be short and simple, with the goal of engaging as many people as possible. “It’s the missing final step,” says Marc Vetri. Read more about the mobile teaching kitchen here.